To go to CF's Home Page, CLICK HERE. More links are below. It’s been way too long since my last letter to you but, aside from my regrettably not having communicated often enough, I’m pleased to say I’ve been very busy, and have a lot of new music and news to share with you. I am very excited to announce that you can now hear my revised dissertation, a composition for large orchestra which I have re-titled AT THE MOUNTAINS OF MADNESS. It’s about fourteen minutes long. I’m thrilled with this adventurous and dramatic piece and I hope you like it. The sound file I created is available and will soon be supplemented by a grandly improved one, thanks to the work of the London sound studio Composition and Jazz, which I have commissioned to edit the sound. CLICK HERE for the “First performance” of the piece. This computer realization was given its first public presentation broadcast over a sound system at the Cab Drivers’ Appreciation Party at the Verdi Club in San Francisco on July 7, 2014, where the score was on display at the door. At that party, I lost my mind just for a moment, and made my debut as a Rock-n-Roll guitarist, playing “White Rabbit” followed by John Coltrane’s “Dearly Beloved” WITH MY TEETH as an introduction to my attempt at the Eric Clapton styling of “Crossroads.” You can see photos of my Crunch and Munch act at my Facebook page if you friend me there, hint, hint. It’s been a very busy summer: I took a Mathematics course at Canada College, and I'm pleased to say I got an A+ (98.42%) in that, and meanwhile wrote a new piece! I plan to use the math in future compositions and in the computer industry, which I am studying to enter. On August 4th I completed my diptych ECHOES OF OUR BARDS, the third in my series of Echoes pieces; another Echoes is already begun. The first part of the bardic diptych, written in 2009, is the sextet THE SWEEP OF THEIR LYRE. This new piece is for eleven instruments and is called THE RUSH OF THEIR VERSE. It is meant to express the experience of the many exciting strands of thought and emotion felt by listeners to epic poetry, with the emphasis on the brilliant, heroic, expansive and hopefully the profound. I have tried to express ecstatic state of the sustained complexity of great epic poetry. This piece has some of my favorite, and perhaps some of the most beautiful, music I’ve yet written. I have also completed the editing of the scores of my Purgatory Sonatas (after Dante), written during the 1980s, and now have sound files of all these pieces to share with you. This cycle is meant to be more meditative, perhaps “Night Music,” though not without drama and invention. And here's the page for the little Concertino MA PER QUEL POCO (“But Through That Glimpse”), written at Tanglewood. And guess what… Movies! Movies! That’s right, I’ve begun making iMovies of the scores of some of my pieces. My iMovies series of SOUND AND SCORE videos is my effort to bring you to “the same page of music” with me. So far the best SOUND AND SCORE video is the two-minute fanfare A SCREAMING COMES ACROSS THE SKIES. I think you’ll agree it’s pretty cool to be able to follow a score along as the music goes by, but not everybody has this skill. With the help of its iMovie, which turns the pages of the score for you, it is impossible to get lost while following along with this short piece, commissioned by David Hall, an important little piece for me, since it is the first piece to be written in the cycle of cycles I call THE FESTIVAL. Also now completed – did I mention I’ve been busy? - are the engraved scores and sound files of my CELESTIAL SIXTIES, A Symphony of Men’s Voices, a half-hour work in two movements. The first of these pieces was commissioned by Chanticleer. There are new songs in the SONGS Books One and Two, and an iMovie there which I was amused to be able to title CLEAVAGE: THE MOTION PICTURE. Hey, that was the obvious and most logical title. You got a problem with that? Like everything I do, it’s TOTALLY EPIC. I am planning a new CD set, to include A MIRACLE in its computer rendition, and parts of the Festival; I am planning to call this CD set A MIRACLE AT THE FESTIVAL. I’ll let you know when this is approaching release. As you may remember, your names are on my list only because you signed up at my site or told me in person I could include you. Up to this point I have only sent my occasional “Letter to My Friends;” the most recent was a long time ago, on July 4th 2012. I am planning to write to you more often, and to start occasionally seeking support for my projects through Kickstarter. Because of the way Kickstarter works any appeals I make will be project-specific, and there will not be overly persistent letters in the manner of spam… I don’t want to lose my friends! The next communication I send will probably be in just a few days or weeks, in the form of a short note with the link to the gloriously improved sound file of AT THE MOUNTAINS OF MADNESS. 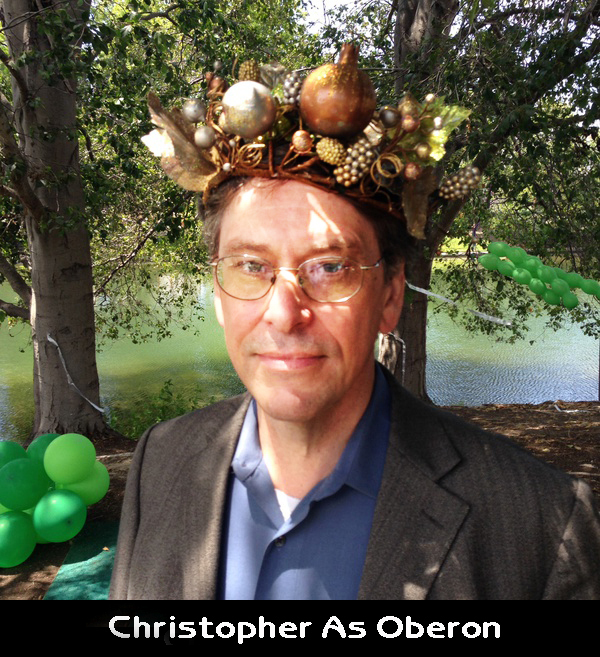 A little bit of personal news: I’ve been appearing occasionally with an exuberant Meetup playreading group and have added Prospero, Oberon, and other roles to my repertoire as an amateur actor, which began with Xerxes and Sir Thomas More. Also, last year I began work on a Batchelor’s degree in Computer Science, cobbling together units from several campuses; I don’t have any idea how long this will take, but I’m sure I can use your good wishes on this effort. I have to do something to have a future elsewhere than in the cab industry, and computers seem the obvious area to explore. I hope to get a job programming music software, though Internet Forensics sounds pretty interesting and useful. Again, please consider “friending” me at Facebook, where we can be in more regular contact. P.S. Oh gosh, just one more thing: I’ve also revised my early Sonatina for Solo Violin.